Clutter IV: Minigame Madness Tour is simply a collection of mind-bending puzzles, or is it? There is no story, just clutter, clutter and more clutter. You'll find picture puzzles, word puzzles, card games, logic games and of course tons of clutter. This fourth episode in the Clutter series takes puzzles from its previous games and twists and warps them to create the most extreme collection of picture puzzles yet. 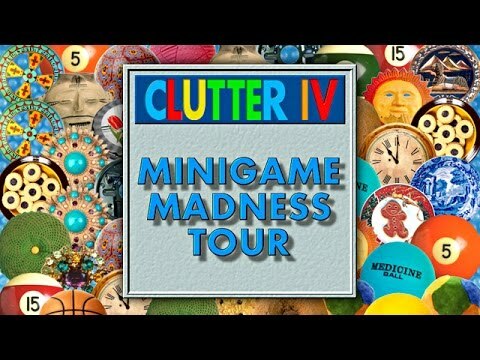 With more than 500 puzzles and randomly generated levels that you can play over and over, you'll get hours of fun out of Clutter IV: Minigame Madness Tour.